Outside the United States, Cleveland Clinic also operates the Cleveland Clinic Abu Dhabi hospital and a sports medicine clinic in Toronto. A Cleveland Clinic hospital campus in London is scheduled to open in 2021. Cleveland Clinic is consistently ranked as one of the best hospitals in the United States. In 2018-2019, the U.S. News & World Report ranked Cleveland Clinic as the number 2 hospital in the Best Hospitals Honor Roll, as it was nationally ranked in 14 adult and 10 pediatric specialties. Cleveland Clinic’s cardiology program has ranked No. 1 in the nation since 1995. Cleveland Clinic's operating revenue in 2017 was $8.4 billion and its operating income $330 million. That year it recorded 7.6 million patient visits and 229,132 admissions. As of 2018, it has over 52,000 employees, a figure that includes over 11,800 nurses and over 3,600 physicians and scientists. It is affiliated with the Case Western Reserve University School of Medicine, with which it started a physician-investigator medical school training program: the Cleveland Clinic Lerner College of Medicine. The Cleveland Clinic also publishes the peer-reviewed journal Cleveland Clinic Journal of Medicine. In 2008, Cleveland Clinic became the first healthcare provider in the United States to become a signatory to the United Nations Global Compact and the second in the world. The organization grew out of the surgical practice of Frank J. Weed (died 1891) at 16 Church Street on the near-west side of Cleveland. The practice was purchased by his two assistants, Frank E. Bunts and George Washington Crile. 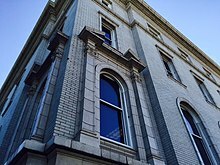 In 1892 they were joined by Crile's cousin, William E. Lower, and in 1897 the practice moved to the Osborn Building on Prospect Avenue, downtown Cleveland. A four-story outpatient building was constructed, and Cleveland Clinic was dedicated at a private ceremony on February 26, 1921. It opened its doors two days later to the public and registered 42 patients. By April 1921, it had 60 employees, including 14 physicians and four nurses. In 1922 the founders purchased four private homes nearby for hospitalization, radiation treatment, and administration. A fifth house was acquired as a residence for patients with diabetes receiving insulin treatments. To meet rising patient volume, a 184-bed hospital was built in 1924, located at East 90th Street and Carnegie Avenue. A power plant, laundry, and ice plant were also built. A research laboratory was constructed in 1928. On May 15, 1929, nitrocellulose x-ray films stored in the basement of the outpatient building ignited. An explosion sent a cloud of toxic oxides of nitrogen and carbon though the building. One hundred and twenty-three people lost their lives, including John Phillips, one of the founders. A dozen investigating agencies were not able to determine what had caused the fire. Cleveland Clinic's own inquiry narrowed the possible causes down to spontaneous combustion caused by heat; a discarded cigarette or match; and contact with an extension cord light hung over a stack of films. 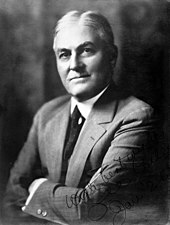 Philanthropist Samuel Mather formed a committee of 36 community leaders to help Cleveland Clinic reestablish itself in temporary quarters across the street. Patient care services resumed five days later. The 1921 building was completely renovated, and a new three-story clinic building, with a new main entrance, was added in 1931. All debts were repaid by 1941. Cleveland Clinic built new operating rooms in the early 1970s to accommodate the growth of cardiac surgery. The Martha Holden Jennings Education Building opened in 1964, with an auditorium named for Dr. Bunts. A new hospital building (currently home to Cleveland Clinic Children's Hospital) opened in 1966, and a research building opened in 1974 (demolished in 2007). A pathology and laboratory medicine building was constructed on Carnegie Avenue in 1980. Willian S. Kiser, chairman of the board 1977–1989, led the development of a strategic plan to accommodate growing patient volumes in the late 1970s. This resulted in a group of buildings known as the Century Project. Completed in 1985, the Century Project includes a 14-story outpatient building (now known as the Crile Building) designed by architect Cesar Pelli. The Cleveland Clinic Lerner Research Institute conducts biomedical research in a 480,000-square-foot building that opened in 1999. The Cleveland Clinic Lerner College of Medicine (CCLCM) of Case Western Reserve University opened in 2004. It is a 5-year medical school in the Case Western Reserve University School of Medicine with 32 students per class, each receiving a scholarship for full tuition and fees. While most MD-granting medical schools in the U.S. are four-year programs, the fifth year of CCLCM is dedicated to a year of research. Cleveland Clinic publishes the peer-reviewed Cleveland Clinic Journal of Medicine monthly, focusing on internal medicine, endocrinology, and diabetes. The Top 10 Medical Innovations is an annual list (since 2007) selected in October each year by a panel of Cleveland Clinic physicians and scientists. For consideration on the list, the development must be considered likely to be available to the public in the upcoming year and to be expected to have a significant impact on a large part of the population. Cleveland Clinic is consistently regarded as one of the top hospital systems in the United States and in the world, and it is well regarded particularly in technological management systems. In 2018-2019, Cleveland Clinic was ranked as the #2 overall hospital in the United States by the U.S. News & World Report, behind the Mayo Clinic in Rochester, Minnesota. A total of 4,656 hospitals were considered in 12 main data-driven medical and surgical specialty areas and 4 additional specialty areas, collating data on patient safety, performance measures, and complication rates. Cleveland Clinic was found to be nationally ranked in 14 adult specialties and 10 children's specialties and was recognized as the #1 hospital in Ohio and in the Cleveland Metropolitan Area. It also achieved the highest rating possible in 9 specified procedures or conditions: abdominal aortic aneurysm repair, aortic valve surgery, chronic obstructive pulmonary disease, colon cancer surgery, heart bypass surgery, heart failure, hip replacement, knee replacement, and lung cancer surgery. In addition, for the 14th year in a row, Cleveland Clinic was ranked as the #1 hospital in the United States for cardiology and heart surgery as a specialty. Similarly, in March 2019, Newsweek named Cleveland Clinic the number 2 hospital in the world, behind Mayo Clinic and in front of Singapore General Hospital. In a Kaiser Family Foundation review of Centers for Medicare and Medicaid Services (CMS) data for hospital acquired conditions in 2014, Cleveland Clinic received an 8.7 score (1–10 possible, with 10 being the worst), in the bottom 7% of hospitals. Between 2010 and 2013, CMS undertook an extensive series of investigations into the Cleveland Clinic Foundation, with at least a dozen inspections and follow-up visits triggered by patient complaints. An analysis of Medicare inspection data between 2011 and 2014 found that the Cleveland Clinic Foundation was one of at least 230 instances in which validated serious incidents—dubbed "immediate jeopardy" complaints—led CMS to threaten loss of ability to serve Medicare patients unless the problems were fixed immediately. Due to numerous serious ongoing safety violations, the Cleveland Clinic Foundation was on payment termination track for 19 months, placing at stake $1B in annual Medicare/Medicaid reimbursement. The citations were reported and analyzed in detail by Modern Healthcare, which posted some of the safety documents. In its February 2019 Overall Hospital Quality Star Ratings, CMS gave a five-star rating to the Cleveland Clinic, as well as several community hospitals in the Cleveland Clinic system, including Hillcrest Hospital, Lutheran Hospital, and Marymount Hospital. In these ratings, Cleveland Clinic Weston received a one-star rating. Cleveland Clinic's main campus consists of 41 buildings on 160 acres (65 ha) near University Circle, in Fairfax, Cleveland. Cleveland Clinic operates 18 family health and ambulatory surgery centers in surrounding communities, a multispecialty hospital and family health center in Weston, Florida, and an outpatient clinic specializing in sports medicine in Toronto, Canada. In May 2010 Cleveland Clinic's Lou Ruvo Center for Brain Health opened in a unique structure designed by architect Frank Gehry in Las Vegas, Nevada. An overseas location, the Cleveland Clinic Abu Dhabi, opened in 2015. In August 2015 the Akron General Health System in Akron, Ohio, joined the Cleveland Clinic system. Akron General includes Akron General Hospital, Visiting Nurse Service and Affiliates, Hospice of VNS, Lodi Community Hospital, Edwin Shaw Rehabilitation Institute, and three health and wellness centers. In May 2017 Cleveland Clinic reached an agreement to acquire 150-bed Union Hospital in Dover, Ohio. The organization began work renovating an historic building at 33 Grosvenor Place in central London, England, in 2018. Demolition of the interior of the six-story, 198,000-square-foot building has begun, with a construction completion date of late 2020. In 2011 Cleveland Clinic was second on the Becker's Hospital Review list of top-grossing hospitals in the United States, with total patient revenue of $9.14 billion. The hospital posted $243 million operating income on $8 billion revenue in 2016. Operating income fell about 50% from 2015, which it said was due to shrinking reimbursements and rising drug costs. In 2017 its operating income was $330M on $8.4B in revenue. ^ "AirNav: 6OI8 - Cleveland Clinic Foundation Heliport". Retrieved July 8, 2017. ^ a b c "Facts & Figures", Cleveland Clinic. ^ "Tomislav Mihaljevic", Cleveland Clinic. ^ Christ, Ginger (August 15, 2018). "Cleveland Clinic London opening will coincide with system's centennial", cleveland.com. ^ "U.S. News & World Report". Apr 9, 2019. ^ "U.S. News Rankings". Cleveland Clinic. Retrieved 2019-04-10. ^ a b Ellison, Ayla (March 1, 2018). "Cleveland Clinic's operating income rebounds to $330M". Beckers Hospital Review. ^ "Cleveland Clinic Lerner College of Medicine". portals.clevelandclinic.org. Retrieved 2019-04-10. ^ "About Cleveland Clinic Journal of Medicine". Cleveland Clinic Journal of Medicine. ^ "Mission, Vision, Values". Cleveland Clinic. Retrieved 2019-04-10. ^ a b Kazi, R. A. (2003). "The life and times of George Washington Crile". Journal of Postgraduate Medicine. 49 (3): 289–290. PMID 14597804. ^ English, Peter C. (1980). Shock, Physiological Surgery and George Crile. Greenwood Press, p. 62. ^ Clough, John D. (2004). To Act as a Unit: The Story of the Cleveland Clinic (PDF). Cleveland, Ohio: The Cleveland Clinic Foundation. pp. 21–23. ISBN 9781596240001. ^ Smith, Dale, C. (1986). "Modern Surgery and the Development of Group Practice in the Midwest". Caduceus. 2 (3): 27. ^ Sajadi, Kamran P.; Goldman, Howard B. (2010). "The History of Urology in Cleveland, Ohio". Urology. 76 (6): 1293–7. doi:10.1016/j.urology.2010.05.039. PMID 20810152. ^ "George Crile". Whonamedit? - A dictionary of medical eponyms. Retrieved August 25, 2015. ^ "Mission Vision and Values", Cleveland Clinic. Accessed May 17, 2015. ^ Clifton, Brad and Carmosino, Jessica (April 10, 2013). "Creating Cleveland Clinic". Center for Public History and Digital Humanities, Cleveland State University. ^ a b c d e Rowland, Amy; Feather (1938). The Cleveland Clinic Foundation. ^ "Ohio Memory, a product of the Ohio Historical Society and the State Library of Ohio : View Image". server16007.contentdm.oclc.org. ^ a b "Cleveland Clinic Foundation". Encyclopedia of Cleveland History. Case Western Reserve University. May 11, 2005. ^ a b c Sheldon, William C. (2008). Pathfinders of the Heart, the History of Cardiology at Cleveland Clinic. Xlibris, p. 60. ^ Rose, William Ganson (1950). Cleveland: The Making of a City. Kent State University Press, p. 1011. ^ Brown, Gary. "The Monday After: X-ray films burn noxious fumes at Cleveland Clinic". CantonRep.com, July 14, 2014. ^ a b c d Bellamy, John Stark II (1995). They Died Crawling: And other Tales of Cleveland Woe. Cleveland: Gray & Company, 218–232. ^ Time Magazine, May 27, 1929, 15–16. ^ Bellamy, John Stark (2009). Cleveland's greatest disasters! : 16 tragic true tales of death and destruction : an anthology. Gray & Co. pp. 87–104. ISBN 9781598510584. ^ "Encyclopedia of Cleveland History: CLEVELAND CLINIC DISASTER". Retrieved May 7, 2011. ^ Porter, Michael; Teisberg, Elizabeth (2014). Cleveland Clinic: Growth Strategy 2014. Harvard Business School, pp. 4–5. ^ Kastor, John A (2005). Specialty care in the Era of managed care: Cleveland clinic versus, University hospitals of Cleveland. J. Jopkins University Press. p. 236. ISBN 0801881749. ^ Parker-pope, Tara (October 26, 2009). "Cleveland Clinic Lerner Research Institute". Barber & Hoffman Inc. Retrieved July 27, 2017. ^ Wang, Shirley (May 15, 2008). "Cleveland Clinic's Medical School To Offer Tuition-Free Education". Wall Street Journal. ^ Bednar, Laura (August 26, 2016). "Paths to a Ph.D." John Carroll University. ^ "About Cleveland Clinic Journal of Medicine". Cleveland Clinic. 2017. Retrieved April 9, 2017. ^ Cheshire, Sara (October 31, 2014). "Cleveland Clinic: Top 10 medical innovations for 2015 - CNN.com". CNN. ^ Adler, Jerry (November 26, 2009). "What Health Reform Can Learn From Cleveland Clinic". Newsweek. ^ "FAQ: How and Why We Rank and Rate Hospitals. U.S. News & World Report". Apr 9, 2019. ^ "U.S. News & World Report, Cleveland Clinic. Procedures & Conditions". Apr 9, 2019. ^ EDT, Noah Miller On 3/20/19 at 9:55 AM (2019-03-20). "The 10 best hospitals in the world". Newsweek. Retrieved 2019-04-10. ^ staff (December 18, 2014). "Penalties For Hospital Acquired Conditions" (PDF). Kaiser Health News. Kaiser Family Foundation. ^ a b c Carlson, Joe. "Cleveland Clinic cases highlight flaws in safety oversight", Modern Healthcare. June 7, 2014. ^ a b Carlson, Joe. "Selected Cleveland Clinic hospital inspection reports". Modern Healthcare. June 7, 2014. ^ Bean, Mackenzie (7 March 2019). "The 293 hospitals with 5 stars from CMS". Becker's Hospital Review. Retrieved 11 March 2019. ^ Bean, Mackenzie (11 March 2019). "The 282 hospitals with 1 star from CMS". Becker's Hospital Review. Retrieved 11 March 2019. ^ "Dr. Tarek Elsawy named new president of Reliant Medical". telegram.com. ^ Kelly Gooch. "Cleveland Clinic to hire 500 RNs at 3 job fairs: 6 things to know". ^ Strain, Eric (April 4, 2010). "Lou Ruvo Center design defines purpose of facility, Las Vegas Sun". Las Vegas Sun. Las Vegas, NC: Greenspan Media Group. Retrieved March 20, 2018. ^ "Sheikh Mohammed and Moroccan king inaugurate Cleveland Clinic Abu Dhabi". The National. Retrieved December 4, 2015. ^ "Cleveland Clinic Exercises Option to take full Ownership of Akron General". Akron Beacon Journal. August 28, 2015. Retrieved December 31, 2015. ^ Coutré, Lydia (June 11, 2017). "Cleveland Clinic continues its march south". Crain's Cleveland Business. Crain Publishing. Retrieved June 13, 2017. ^ Christ, Ginger (February 23, 2018). "Cleveland Clinic's London hospital to open in early 2021". The Plain Dealer. Cleveland, OH: AdvanceOhio. Retrieved March 20, 2018. ^ Oh J. (August 29, 2011). "100 Top Grossing Hospitals in America". Becker's Hospital Review. ^ Coutre, Lydia (February 15, 2017). "2016 was a tough year for Cleveland Clinic finances". Crain's Cleveland Business. Retrieved August 25, 2017. ^ Zeltner, Brie (February 15, 2017). "Cleveland Clinic CEO Toby Cosgrove reports rough financial year for hospital in 2016". The Plain Dealer. Retrieved August 25, 2017. Cosgrove, Toby (2014). The Cleveland Clinic Way: Lessons in Excellence From One of the World's Leading Healthcare Organizations. New York: McGraw-Hill Education. ISBN 9780071827249. OCLC 862041447.